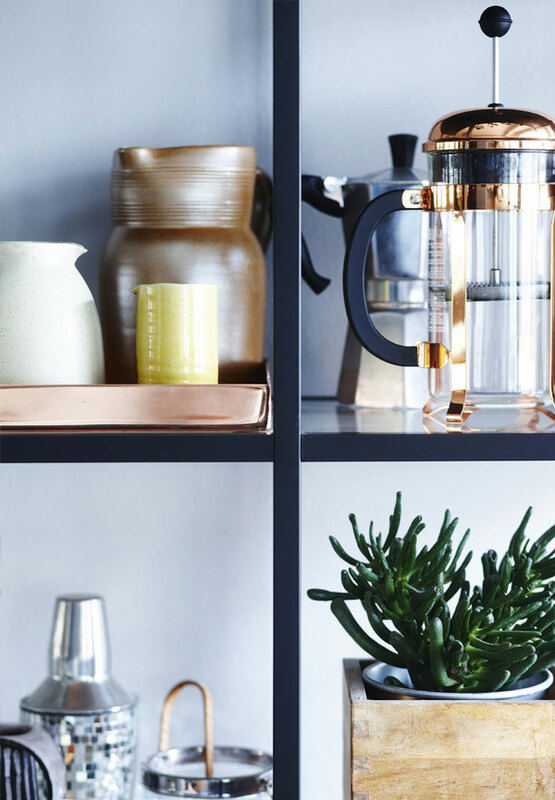 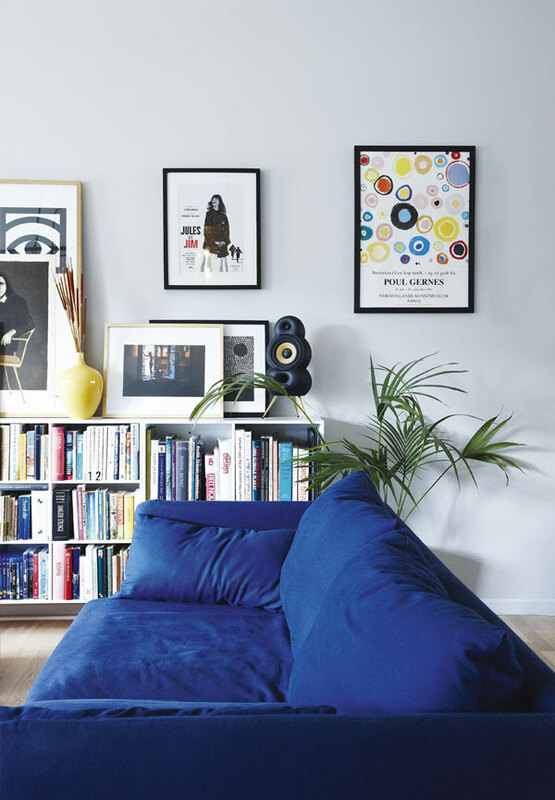 This is the beautiful home of magazine editor, Julie Rosendahl. 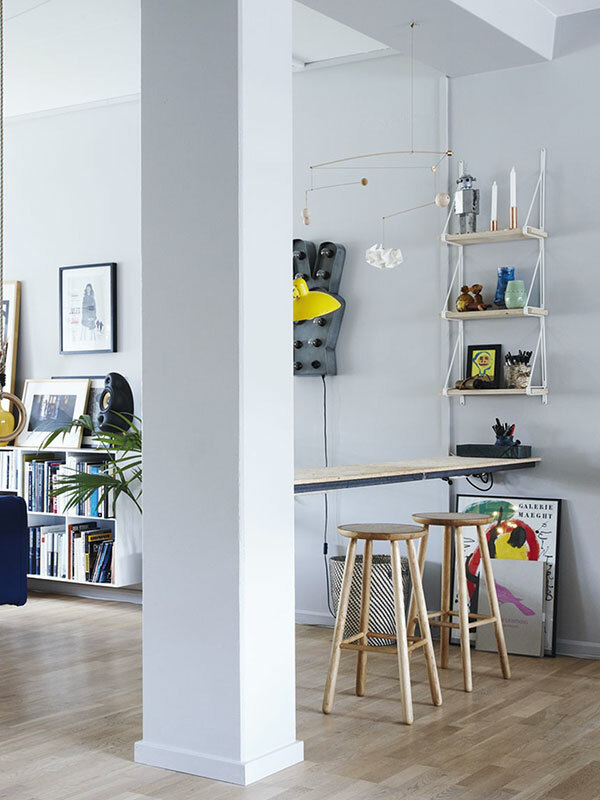 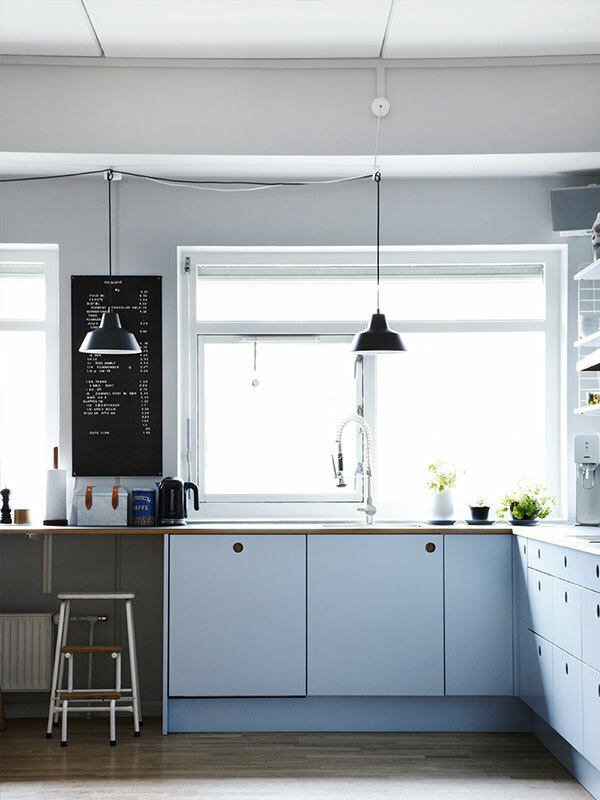 The 100-square-meter apartment in Copenhagen has a great open plan layout, where Julie and her family enjoy spending time together. 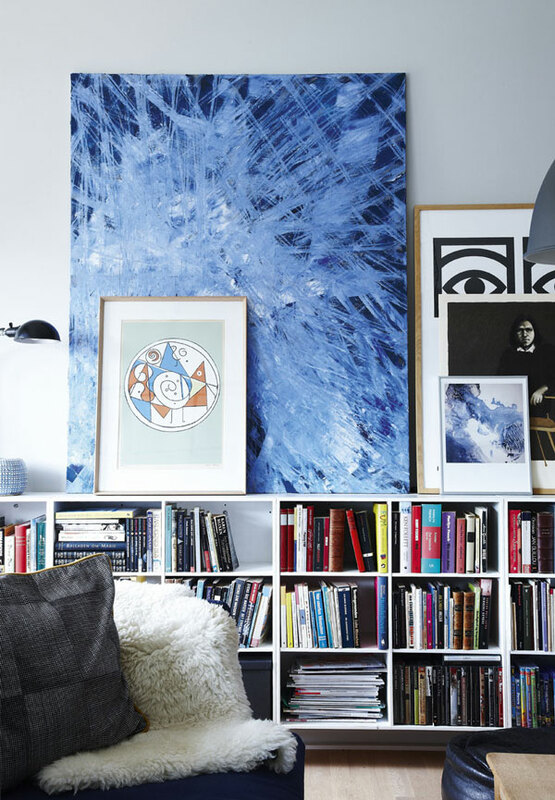 The style is fun, cozy and personal, with an urban and industrial twist. 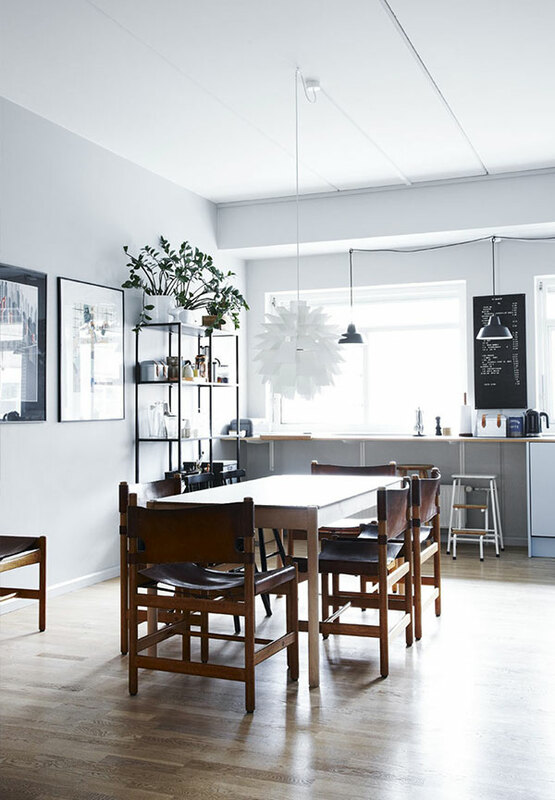 The atmosphere is relaxed and easy going. 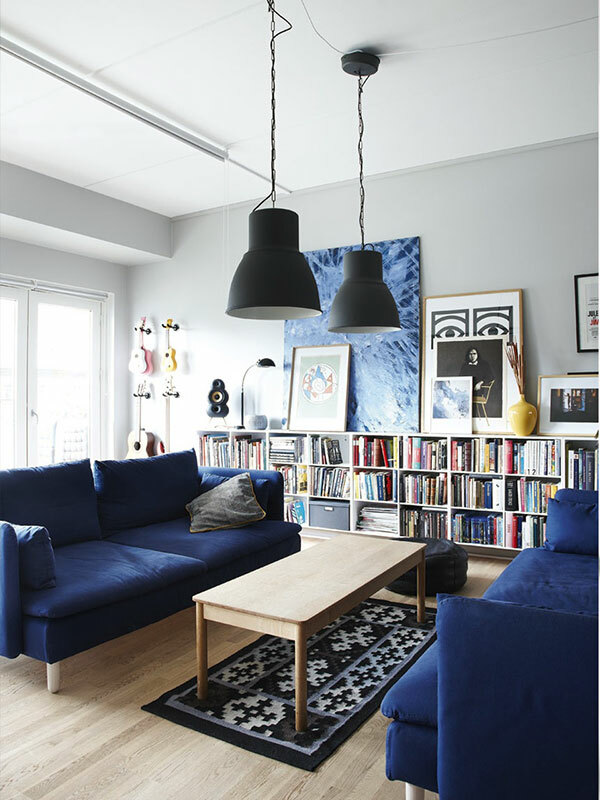 I’m loving the blue couches, as well as the steel frame windows and doors that act as a partition between the kids bedroom and the rest of the space. 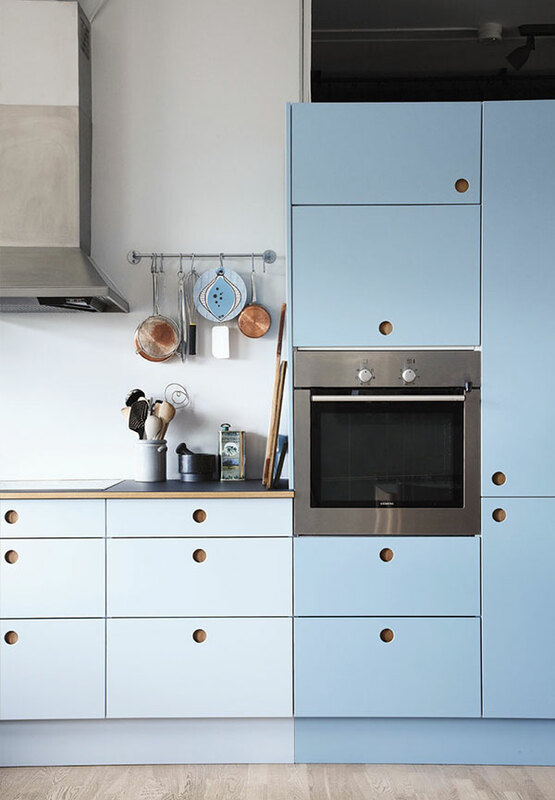 The light blue kitchen is pretty great, too. 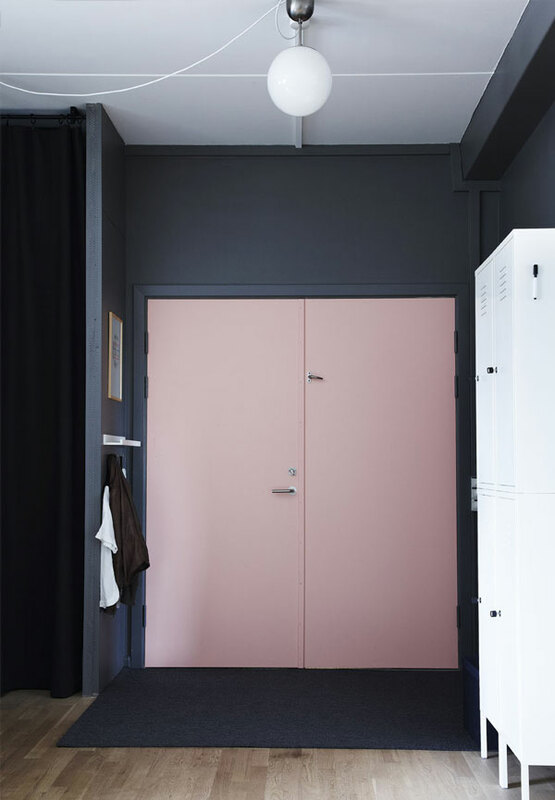 And isn’t the entrance’s color combo interesting?